Opinea research institute guarantees confidentiality, anonymity and data protection to all its panel members. Drawing on solid market research experience, Opinea applies Esomar’s “World Research Code for Conducting Market & Opinion Research Using the Internet”. …maintain total confidentiality with regard to all your paid survey responses. 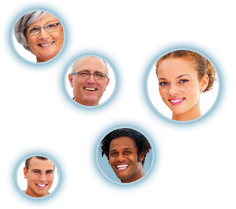 Opinea ensures the confidentiality of all details stated in your personal account, which are only accessible via your username and password. …respect your privacy. The personal information you provide will only be used for statistical purposes. Your personal details will never be communicated to a third party without your prior consent. …provide secure access to your account in order to edit or delete your personal details. You are free to cease your collaboration with Opinea at any time. …reward you for the time spent taking part in our surveys. Registration on the website panelopinea.com is completely free. We will never ask you for money. …invite you to respond to our questionnaires on a regular basis without obliging you to do so in any way.